These words are spoken as a cue to the film crew at the beginning of a take. They represent the order in which things must progress just before the filming happens. Notice the first word: “Lights.” This word is at the beginning of the cue because before the camera rolls, the scene has to be lit in a way that properly conveys the message and tone. Lighting is a form of communication in itself. There’s a reason why most people feel gloomy during rainy weather and especially chipper and productive on a sunlit day. In video conferencing, you are appearing in front of a camera, just like being on film. Before anything else you do, the lighting in your scenery has already chosen how your meeting will perform. It’s time we took a serious and in-depth look into how the lights you switch on before the camera rolls affect your Zoom meeting! Remember how we said that people feel gloomy during rainy weather? There’s a reason for this. A study called “Action spectrum for melatonin regulation in humans” has found that blue light in wavelengths between 460 and 480 nm suppresses melatonin, a hormone in our bodies that regulates our circadian rhythm and is synthesized from an amino acid in our food called tryptophan. OK, so what does all this lingo mean? Put simply, a lack of light triggers a “downer” response, prompting our bodies to release melatonin. We often associate darkness with conflict, confusion, and despair due to its central role in our circadian patterns. This is the message that a scene lacking in light sends to people. Light plays a central role in how we perceive the world around us, so it has a deeper effect than simply giving us the ability to see objects clearly. With regards to Zoom meetings, you can decrease the “boringness” of your meeting by increasing the lighting. See for yourself how this can work miracles in presentation: View a video of someone speaking in a warmly-lit environment, then view one where the presenter’s only source of light is the reflection from a computer monitor. If both presenters are equally talented, chances are you will like the well-lit presenter more at first sight. The moral of the story is to ensure that you have at least 800 lumens per 400 cubic feet (37.5 cubic meters) of volume in the room where you are filming. That translates to having the equivalent of two 40-watt light bulbs in one room measuring 170 square feet (15 square meters). Of course, if you want the best lighting, we’d recommend at least 1350 lumens in that same space (3×40-watt light bulbs). OK, so now you have a room brighter than summer. But that’s still not enough to pull off a pleasant meeting. You have managed to adjust the message of your meeting, but now it’s time to adjust the message of you. In 99.999999% of Zoom meetings, your meeting room isn’t the only thing you’re presenting. You’re also appearing in propria persona (Latin for “in person,” because we like to sound smart). For you to present yourself properly, you will have to learn to experiment with lighting in a way “lights you up” the right way. We will start with your choice of light source. The typical home will have incandescent, halogen, compact fluorescent, or diode (LED) lighting. Each of these options has certain advantages and disadvantages. Learn to work with each one and see what makes your face look luminous and enhances your natural skin tone. Each light bulb emits multiple wavelengths of light at the same time. The light may appear white or yellow, but there is a lot going on underneath that. A light with a high color rendering index (CRI) is able to show the true colors of every object in a room. Low CRI lights may be advantageous for people with faces that have imperfections on the skin, since it makes them easier to mask. High CRI lights will work well for people with darker skin tones, since it helps reveal the nuances in pigment that would otherwise have been glossed over with a simpler incandescent bulb. The kind of light bulb you choose affects how much of your true beauty shines in more ways than you think, doesn’t it? Now, let’s talk a little bit about position. For best lighting, we advise lighting your face indirectly, from a front-facing angle. Use a relatively weak light source so you don’t end up looking washed out, and position it towards your face from the front. Avoid pointing the light source directly at your eyes. Instead, position it in such a way that it sits above you and points just above your head. You do not want the majority of the light to hit you, but you want just enough to make your face a bit more brilliant on screen. The color temperature of a light bulb refers to how “warm” or “cold” a light is. “Cold” lights are typically slightly blue in their hue, although the most prominent color is white. 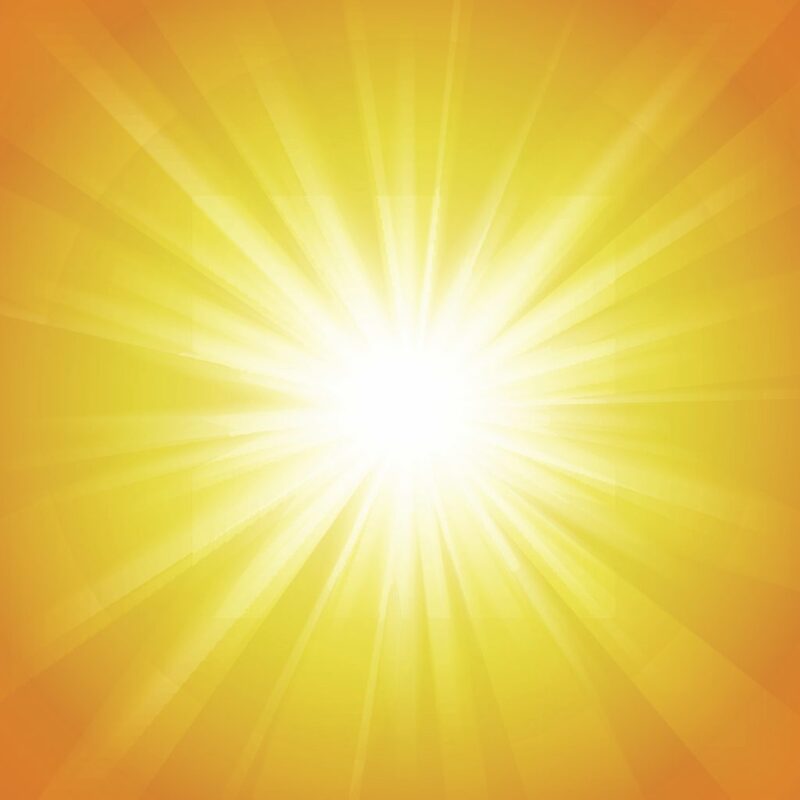 Cold light is higher on the temperature scale, while warm (yellow, incandescent) light sits somewhere lower. The typical incandescent light bulb emits light at a color temperature of 2,700-3,000 Kelvin, while tubular fluorescent lights emit light at somewhere around 5,000 Kelvin. There are many more characteristics to light, but color temperature more accurately describes the type of environment you are portraying. For something that resembles a chat by a fireplace, you should go for warmer, incandescent light. But cold lights don’t necessarily make your meeting room resemble a factory floor. The reason why colder temperatures are shunned is because of the blue-ish hues that we subconsciously associate with uncomfortable settings like the doctor’s office. Here’s the kicker, though: Sunlight emits light at around 5,900 K. That’s a pretty cold color temperature! If you want to make it look like your room has its own personal little sun in it, you can opt for advanced LED lighting that eliminates most of the nasty blue hues. With properly-balanced lighting, you could actually make it look like you’re presenting yourself in a sunlit room even in the middle of the night! And, of course, if you want to take full advantage of your lighting, you need a video meeting solution that lets you show every pixel of your wonderful face! If you haven’t tried Zoom yet, sign up for a free account today! You can also learn more about setting up your ideal meeting environment at zoom.us/rooms!